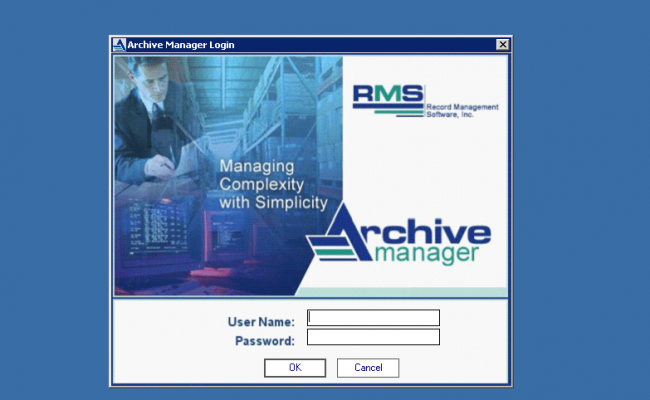 Archive Manager's state of the art technology and easy to use interface supports the growing needs of any record center. Join other leading record centers that use Archive Manager to manage their record centers and start growing your business. Ability to include text and attachments with boxes and files. 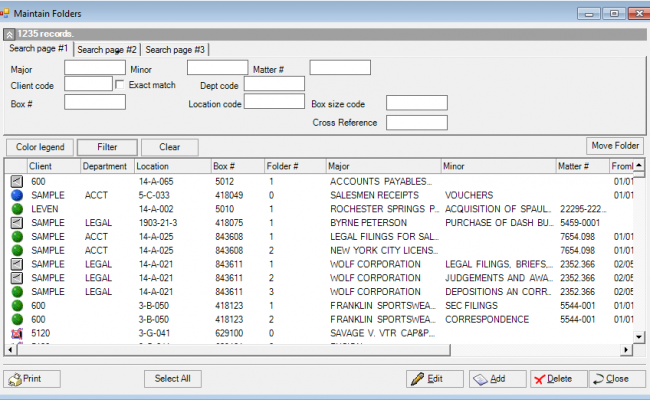 Complete Audit Trail tracks the history of every box and file. 1 GB hard drive space, 4 GB RAM. PC Server: 1.5 GB hard drive space, 4 GB RAM. Windows 7, Windows 8, Windows 10 - 4 GB RAM, 125 MB hard drive, Microsoft .NET Framework 4.0 or higher. Windows Server 2012, Windows Server 2016 or Windows Server 2019 with Microsoft IIS 7.5 and up. Archive Manager offers state of the art technology at comparatively lower prices than our competition. Our pricing is straightforward. Record Management Software does not impute price levels as the number of boxes in your inventory increases. This avoids penalizing the successful record center for growing its business. Today in the Record Storage Industry, most storage companies are touting that they have barcoding. These companies figure that once you have linked a client's box to a computer you have solved the record management puzzle. In reality barcoding is of no value to the client. The employees of a typical client including senior management request a box or file by its name. The client does not care to translate this into barcode numbers and nor should they have to. 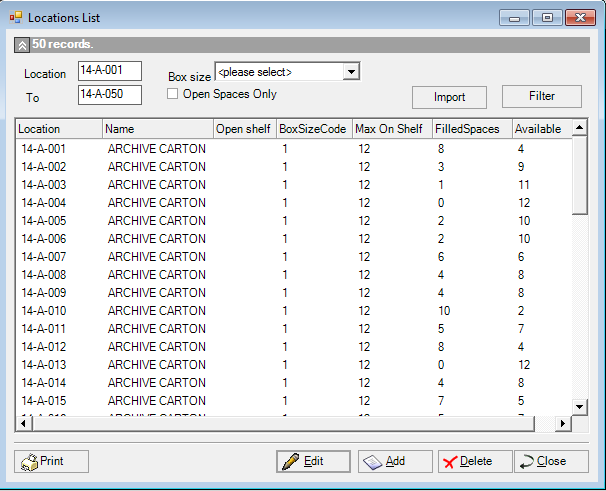 Barcoding solely benefits the record center in being able to locate that box or file. The fact that a client has to find out a corresponding barcode number before they can request a box of file is just another burdensome step. At Record Management Software, we understand records management and we provide the tools to record center so that their clients do not need to know a barcode before requesting a box or file. Thanks to our Archive Manager, record centers can quickly retrieve their clients' records without worrying about extraneous numbers. Barcodes exist so that the record center's employees can quickly handle our client's requirements. 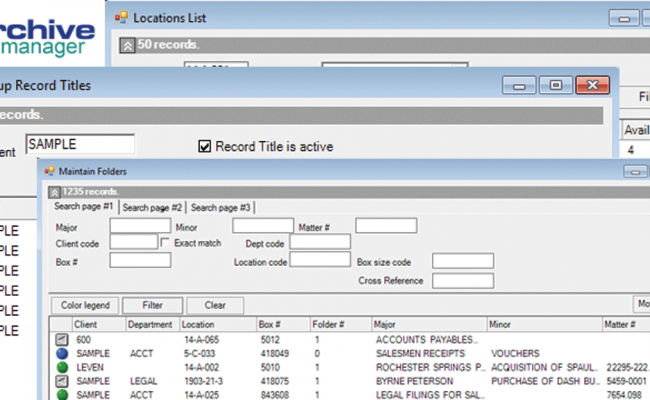 Further with our Archive Manger Web Access Module, the record center's clients can quickly search and track boxes and files via content information.